Why use synthetic underlayment vs. felt? •Special Moisture-Control Design… Helps remove nearly two times as much damaging moisture from your roof deck as the leading synthetic non-breathable underlayment. • Durable Construction… Non-asphaltic, polypropylene construction will not rot or become brittle (unlike conventional felts, that can disintegrate over time). 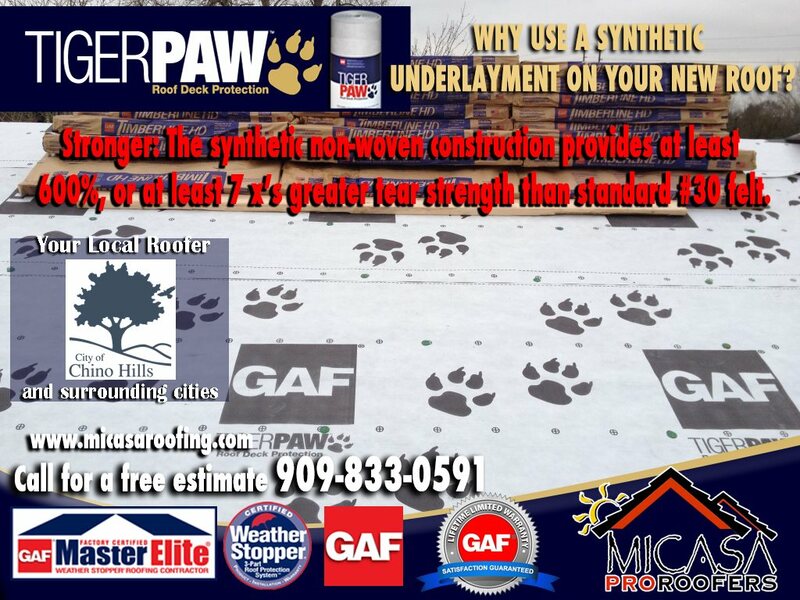 • Better-Looking Roof… Tiger Paw™ Roof Deck Protection resists wrinkling and buckling that can “telegraph” through your roof shingles and detract from its finished appearance. • Peace of Mind… Up to a Lifetime ltd. warranty when installed on Lifetime Shingle roofs.